Siobhan Roulston recently left the Garden International School in Kuala Lumpur. She is taking a gap year to do some travelling. 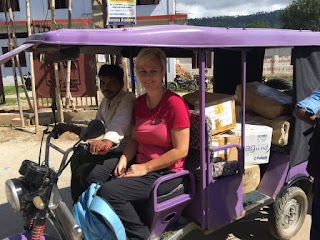 For the last two weeks she has been in Nepal with Doreen Johnstone assisting to set up school libraries. ISLN members would remember that Doreen spoke to us at a meeting last year and that Book Reach has been the beneficiary of ISLN funds allocated by the Charity Committee. Siobhan wrote this entry for the blog. 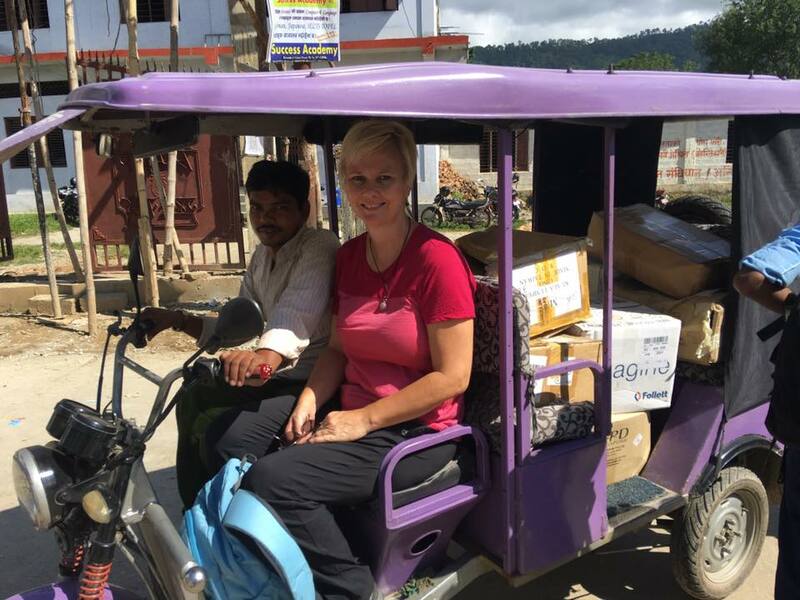 For eight weeks during August, September and October, Doreen Johnstone, the dynamic founder of the charity, Book Reach, has been working tirelessly to place books into the hands of Nepali school children. Doreen identifies schools in Hetauda, Nepal, which do not have libraries and uses pre-loved books to create libraries in them. Some schools are within the city of Hetauda, whilst others are up to two hours away by foot, motorbike and bus (yes, Doreen at the ripe old age of 75 makes the effort to reach these schools - she even sleeps on the floor of teachers' homes in these regional villages). 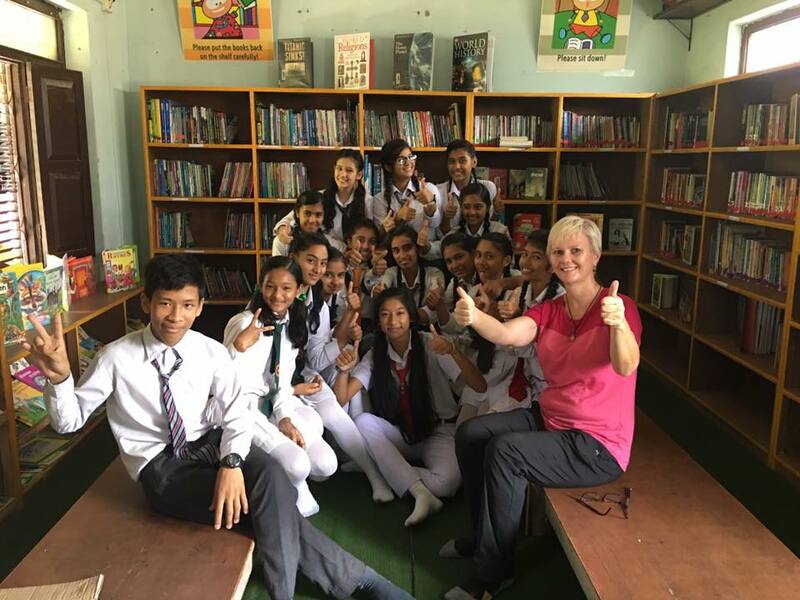 By being able to help Doreen here in Nepal, I have experienced first-hand the children’s excitement as they have helped to unpack, label and organise books for their new libraries. Doreen arranges shelving, tables and carpets for the libraries if necessary. Students are involved in categorising the books into levels and then arranging them on the shelves. The smiles on their faces when they see their finished libraries is really touching. For the past few years, schools in Malaysia and Singapore have donated thousands of books to Book Reach. It's important for the donating schools to know that these books have really made a difference in the lives of these needy children. Before Book Reach began bringing books to Nepal, many schools here had no English books for their students to read. As children in Nepal learn English in their schools, it was difficult for them to improve their reading skills. These libraries have enabled thousands of children to develop their English skills and a love for reading. 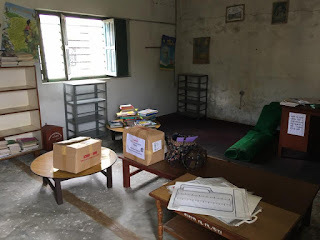 Please encourage your schools to continue supporting Book Reach, either by donating books or by contributing funds to pay for freight costs, furniture, carpets, labels, shelves, etc. Every dollar donated will find its way straight into a Nepalese school library. In the photo above, you can just see the bottom of two posters on the wall of this library. The posters were created by one of our library assistants, Kavikumar S/O Sugumaran, on the instruction of Doreen. And if you have any connection to any school libraries in Nepal, please feel free to re-use any of these posters!